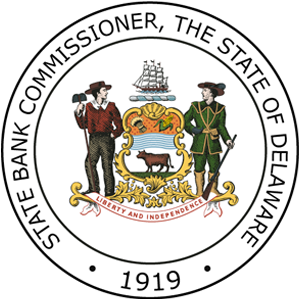 DOVER – A diverse group of Delaware nonprofit organizations will share in nearly $300,000 in grants from the state’s Financial Literacy Education Fund (FLEF) this year, supporting programs across the state to help Delawareans from all walks of life make better financial decisions for themselves and their families. Since the FLEF was established in 2010, more than $2 million has been awarded to more than two dozen organizations to improve financial literacy for Delawareans of all ages. Students in Delaware schools have learned the importance of saving money, families living in rental housing have been coached along the path to homeownership, and pregnant and parenting young women have learned how to develop financial plans to strengthen their futures. This year, a total of $290,000 was awarded to 18 nonprofit organizations to support programs that met criteria established by the Office of the State Bank Commissioner. Funding for the FLEF is derived from a license fee charged to businesses that make high-cost payday loans and car title loans. Applications for FLEF grants were considered on the basis of how they improve the financial literacy of Delawareans, especially programs that are proactive, preventive, and forward-thinking. Programs and services funded with FLEF grants are designed to reach populations or geographic regions that have limited access to financial literacy resources, with special emphasis on reaching out to members of the military, seniors and minority communities.